On Market St, between 2nd &amp; 3rd St. Whether you’re hosting a bachelorette party, bridal shower, birthday party, corporate event, fundraising event or just want to bring some fun to a Friday night — let us help you host a private wine party! Our cozy lower level with its low ceiling, exposed Colonial-era brick walls and low-key accent lighting, is perfect for parties of 22 or less. If you are expecting up to 50 guests, why not rent out the entire store! 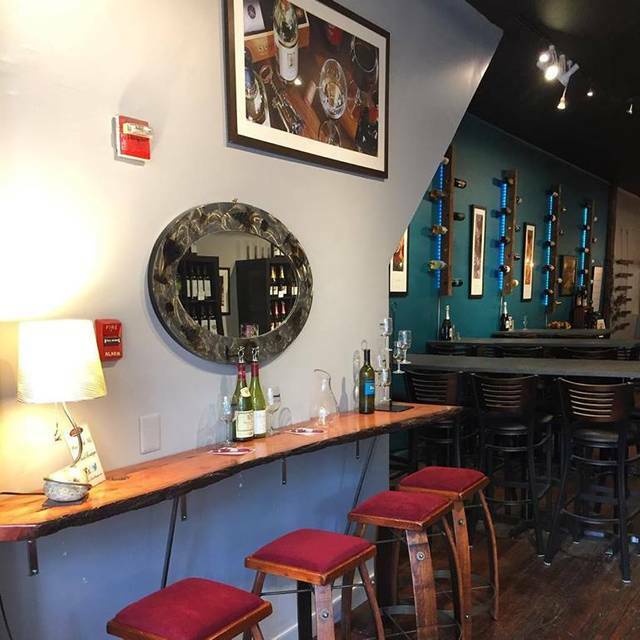 With everything a wine lover could dream of, it’s easy to see why Pinot Wine Bar is a two-time Philadelphia Magazine ‘Best of Philly’ winner. 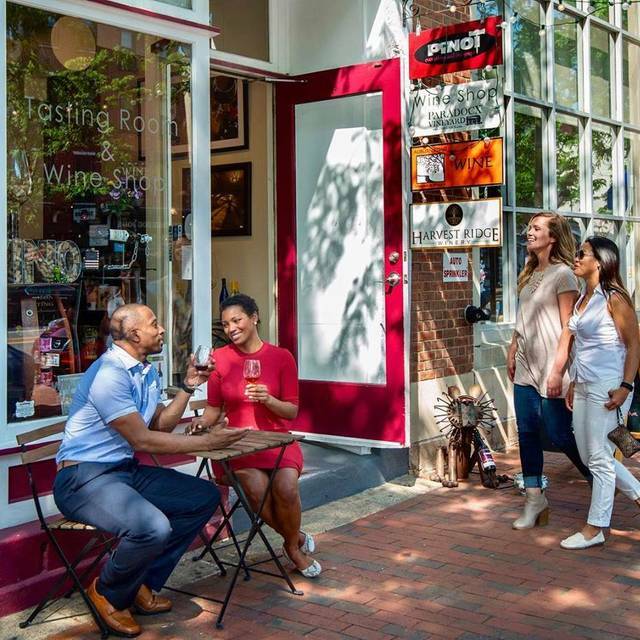 Located in Historic Philadelphia, Pinot offers guests the ultimate wine experience. The newly renovated tasting bar provides a chic ambience for sipping, drinking, and tasting some of the best wines of the area. Choose from a variety of tasting options or simply enjoy a glass or two. 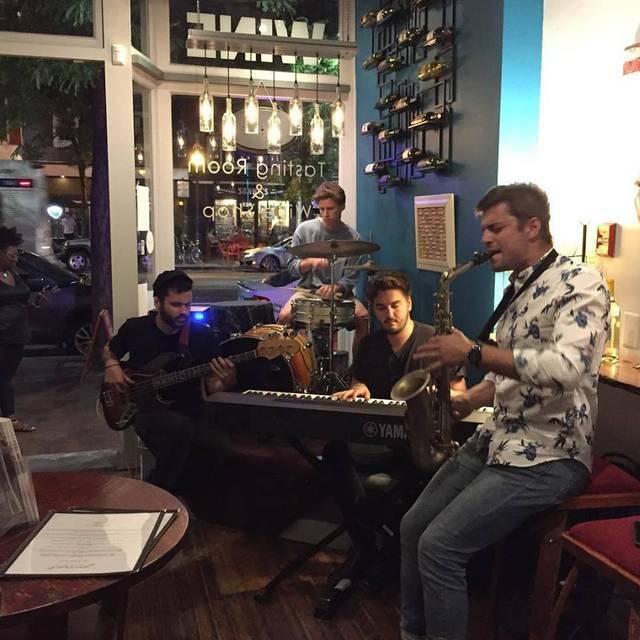 Friday nights at Pinot you’ll find live music and wine tasting to start your weekend off right. If you’ve ever thought of throwing a wine party Pinot has a private wine cellar that is perfect for for birthdays, bachelorette parties, team building events, or just a fun Friday night with friends. 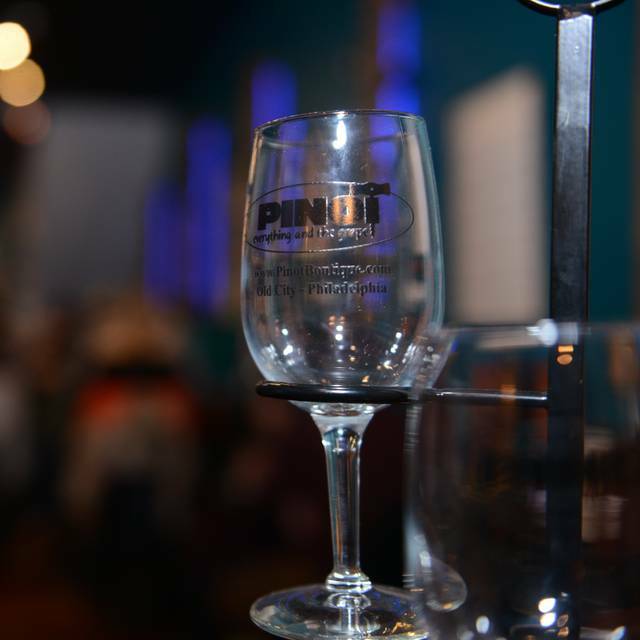 Perhaps best of all – Pinot keeps it local by working exclusively with wineries from Pennsylvania, New Jersey, and Delaware. Pinot – Your Winery in the City! We had an amazing event with a tasting and the staff was so nice and accommodating! The entertainment was amazing, too! First time visit and I had a wonderful experience. Cozy little place with friendly and helpful staff, great ambience, and highly recommend the wine and cheese pairing! Had a great time sampling flights of red wine and enjoying a cheeseboard and prosciutto wrapped pretzels. Nice atmosphere for a date or good time with friends and friendly service. Nice setting, great wine, Good live music. Very welcoming and inviting. Good hospitality from the servers. Honestly one of the best places to go wine tasting, our host was amazing and the environment was top notch! Went here for a friend's birthday on a Wednesday night. We made a reservation but it wasn't busy. We each did a wine flight and then shared a glass of wine. They change their wine flights monthly. Our waitress was very knowledgable and friendly and we had a great time. They had a good selection of wines, some local and some not. Great experience. Looking forward to going back. I just put good for the food, but we did not order any food. The crackers given to eat inbetween the wine tasting. Awesome! A little bright in there for an evening drinking but it was a really cute place and good happy hour. Great place to buy wine related gifts! My girls and I had the perfect girls night at this location. We will definitely be back. 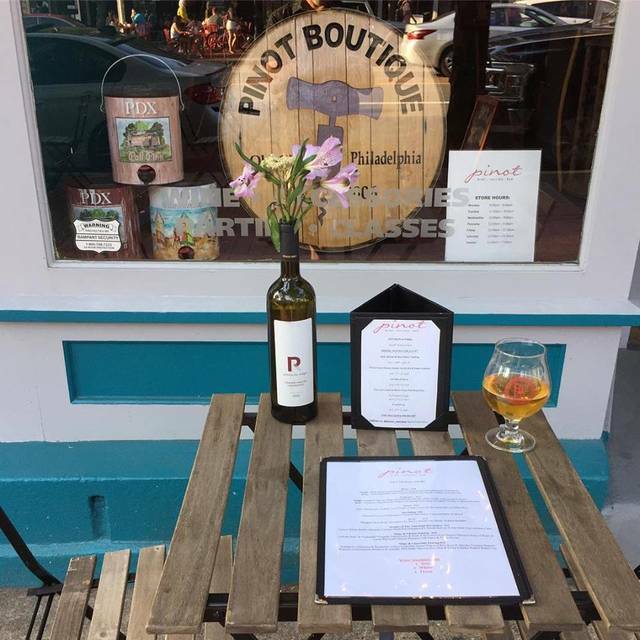 I had my birthday celebration at Pinot Boutique and the staff was exceptionally accommodating and very friendly. I would recommend this place for a small get together or a date night. The two women running it were great, but they could have used a bit more help. We wanted to order more before we had to leave, but they were so busy that we couldn’t get their attention. Regardless, we had a great time, and this is a fun little place for anyone who loves wine. Had a great time celebrating my birthday. The service was nice and polite. They have great service, good wine, many options and you can walk in at anytime for a wine tasting.